Debbie graduated from the Dance Teachers Club of Boston Education Course in 1973 and is a 44 year member of that organization. While attending Castle Junior College in Windham, New Hampshire, Debbie became the co-director of Marilyn’s School of Dance in 1973. She then became the director of North Andover School of Dance & Gymnastics in 1986. Debbie’s early dance training took place in Lawrence, Massachusetts under the direction of Madeline Mahoney and her sister Marilyn Twomey. She studied during the summer months with the late David DiMarie in Buffalo New York; Gene Murray in Salem, Massachusetts; and with Gus Giordano, Diane Walker, Julia Boynton and David Howard, just to name a few. Debbie has performed in Summer Stock and attended numerous dance festivals across the country. 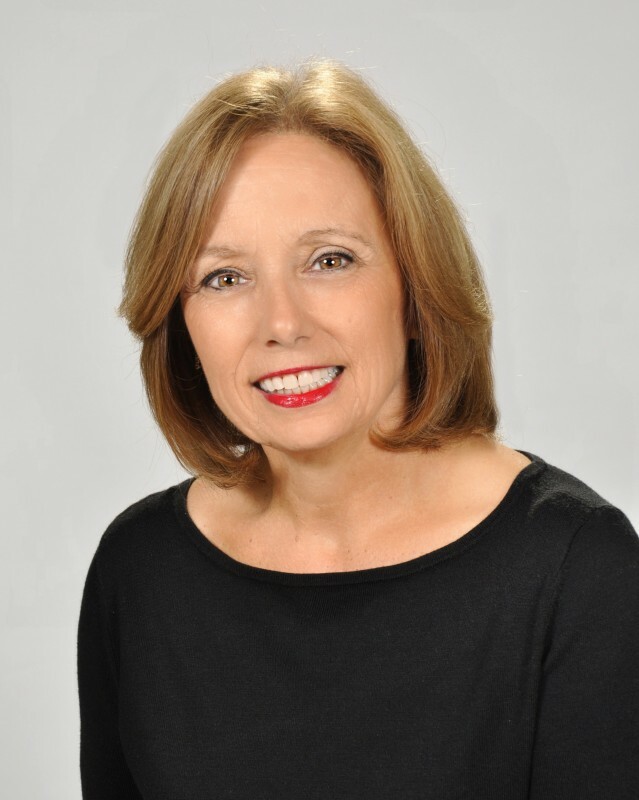 Debbie has taught all levels of dance, Preschool through Advanced, Special Needs Children and Adults, for 45 years. She has taught in many after school and child care programs, choreographed many school musicals, and brought her students to perform on a Royal Caribbean Cruise Ship and at Walt Disney World’s Magic Kingdom. She has won numerous awards and trophies and is most proud of the Village Hero Award from the Massachusetts Society for the Prevention of Cruelty to Children (MSPCC) for her contributions to children and their families of our community. Thank you for setting the example for all dance educators. Your unselfish desire to help a fellow dance teacher and her students in their time of need has taught us all that appreciating, respecting and assisting each other can be accomplished among the dance profession. You are a SHINING LIGHT in the DANCE TEACHING WORLD. Debbie and her husband, Leo, have two adult sons, Leo and Matthew and is extremely grateful to have the opportunity to share her joy of dance for 43 years! A native of Kansas City, Amy began her dance training at the age of three. On her first day of dance class, she instantly fell in love with the art. Amy is well-versed in all areas of dance, and has extensive training in classical Classical Ballet, Pointe, Jazz, Tap, Contemporary, Acrobatics and Cheer/Pom. Additionally, Amy is professionally trained in both the International Latin and International Standard styles of Ballroom Dance, as well as being a certified ZUMBA Fitness Instructor. Amy has been privileged to train with world-class instructors, such as: David Howard (Ballet), Jean Marc Genereux (Ballroom) Julie Boynton (Tap) and Beto (Creator of ZUMBA Fitness), to name a few. Amy is a graduate of Kansas State University, where she was a Hotchkiss Academic Scholar. While at K-State, she was a four-year member of the Kansas State Classy Cats Dance Team, serving as a team captain her senior year. Amy has performed nationally at numerous college bowl games, as well as appeared on ESPN's College Game Day. Her first love being teaching, Amy relocated to the East Coast after college, where she worked as a Professional Dance Teacher, Choreographer and College Dance Team Head Coach. Amy has worked as a Master Tap Teacher for major FDC dance competitions, and currently judges for several National Dance Competitions. As a choreographer, Amy does a wide variety of work, including: competitive dance studios, college dance team nationals, musicals and professional sporting events, most recently with the Boston Celtics and as the current choreographer for the Boston College Dance Team. Her students and teaching techniques have been featured in Dance Spirit, Dance Teacher, and Dance Studio Life Magazines. Amy will be teaching Grade School, Middle School, High School, Adults and Intensive dancers in Ballet, Tap, Jazz, Lyrical, ZUMBA, Contemporary, and Musical Theatre. Angela's professional dance career began at the age 14 when she appeared with the Houston Ballet. She has danced and toured with Ballet Concerto, Ballet Galaxy, Milwaukee Ballet, Atlantic Ballet and Ballet New England. Angela has been a Company Member, Ballet Mistress, Principal Dancer, Certified Pilates Instructor, Principal Instructor of Classical Ballet, Junior Company Coordinator, Company Instructor, School Director, and 2006 Director of Nutcracker for Ballet New England. She has appeared as a guest instructor with ballet companies in MA, ME, NH, FL, VA and VT. In November 2002, Angela appeared as a guest artist with The Siren’s Song. In January 2003, Angela appeared with the Greater Palm Beach Symphony Orchestra with Guest Conductor Maestro Vladimir Ponkin in the role of The Dying Swan. Angela has been featured in “Classic New Hampshire, Preserving the Granite State in Changing Times”, written by Linda Landry, and “Ballet Resources”. In 2008, she was recognized as an Honored Lifetime Member and VIP Member of the “Cambridge Who’s Who”. Angela will be teaching Middle School and Intensive dancers in Ballet and Lyrical. She will also be teaching Ballet & Wedding Classes for Adults. Growing up in a small town in Maine, Angela Gleckman, developed an interest in performing arts at a young age. Dance being her first passion, she began Tap and Jazz at age 5 and has since trained in Ballet and Modern. In high school, she was chosen to participate in the Gifted & Talented Dance Program where students choreographed dances for each other to perform. She was very active in show chorus, singing and dancing and was asked to choreograph the dancing for the Junior High show chorus. At Plymouth State College in NH, she was a member of the Contemporary Dance Ensemble. There she studied under Joan Wiegers who was trained by Martha Graham. Angie was taught Ballet and further developed her love for Modern. Throughout her studies Angie has choreographed and performed many of her own pieces. She also performed in guest-artists’ productions including the Alvin Ailey Company and Stomp. While dancing and working on her Bachelor of Fine Arts degree in Graphic Design from Plymouth State she helped Wiegers run summer dance camps for teens. After graduation in 1999, Angie and her husband Matt, traveled out west for four years. During that time in southwest Colorado, she taught Ballet and Creative Movement to 3-5 year olds and Adult Yoga Classes. In Washington State, at a local YMCA, she started a Yoga for Kids Program and taught Adult Yoga Classes. In 2003, Angie and her husband moved back east while pregnant with their daughter, Anna. She then became a preschool teacher at the YMCA on Cape Cod and incorporated dance and yoga into the curriculum. In 2006, while pregnant with her son Parker, she taught Yoga Classes for adults at the YMCA. Engine is a graduate of the Dance Teachers Club of Boston Education Course. Angie and her husband, Matt, live in Atkinson, NH with their two children. Angie will be teaching Preschool through 1st Grade dancers in Ballet, Tap, and Jazz. Angela is thrilled to be beginning her 8th year at North Andover School of Dance and is looking forward to passing on her love for dance to others. Hannah Stewart’s love for all things dance began in her early childhood when her father gave her gifts of old-time dance films. The daughter of an American diplomat, Hannah began taking ballet, tap, and Irish classes at the age of five at Arabesque Dancing Centre in Dubai, UAE. Although exposed to many forms of dance in a variety of cultures, she quickly developed a great love for Irish step dancing, which became her focus. Oddly enough, the majority of Hannah’s Irish dance training was in Muscat, Oman with her beloved teacher, Rachel Franzen, TCRG. Since those early days, Hannah has performed, taught, and competed internationally, including at the prestigious European Irish Dance Championships. Throughout her high school years, Hannah explored many different dance techniques including belly dancing, hip hop, praise dance, and ballroom. While still in high school, Hannah began teaching Irish step dancing, and soon discovered she had a passion for teaching as well as performing dance. During her senior year of high school she studied ballet, jazz, and tap with Kirsten Wilkinson, MA, and then auditioned for the Distinguished Artists Award at Hope College in Holland, Michigan, which led to a dance scholarship. At Hope College, Hannah studied dance in all of its aspects, leading to a new interest in and passion for improvisation, modern, jazz, tap and many others facets of dance. During her time in the Hope College dance department, Hannah performed in many different student and faculty choreographed pieces along with creating some of her own works. While at Hope College, Hannah had wonderful opportunities to study with outstanding faculty and guest artists including: Linda Graham, Nicole Flinn, Steven Iannacone, Sharon Wong, Matthew Farmer, and Mark Yonally. As a senior, Hannah was a teaching assistant to Crystal Frazier (Tap), in addition to being a full-time Student-Teacher at Cityside and Creekside Middle Schools in Zeeland, MI fulfilling her education degree requirements. 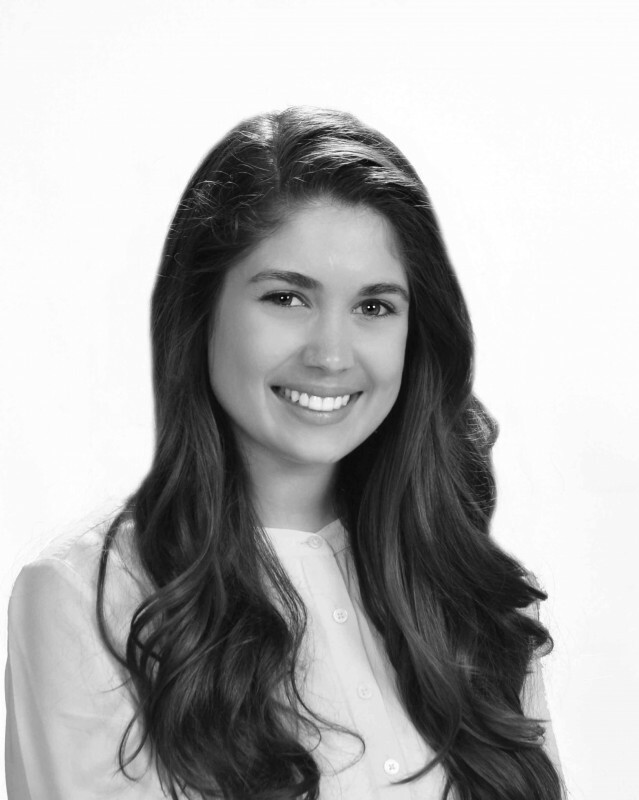 Hannah graduated from Hope College in May 2013 with a BA in Dance Education and a minor in Secondary English Education. “Ms. Hannah” has been enjoying her enriching career as a professional dance teacher and loves that her job is about sharing joy with every one of her students. Leo earned a Bachelor of Science in Communication, majoring in Dance with a minor in Not-For-Profit Business, from Northwestern University. While there he founded and directed the university’s first and only tap dance company, TONIK Tap. He is a graduate of The Dance Teachers’ Club of Boston Teacher Training Course and the recipient of The Dance Teachers’ Club of Boston Award and the Mary Jane Brown Award for Excellence in Teaching Tap. Leo has studied with Dr. Susan Lee, Laura Wade, Glenn Leslie, Bril Barrett, Molly Shanahan, among others. After graduating from NU, Leo danced professionally as a company member of Jump Rhythm Jazz Project in Chicago. While with the company he had the opportunity to perform and teach across the country. In 2007 he received an Emmy Award in the category of Outstanding Achievement for Individual Excellence On Camera/Performer for his work in the multiple Emmy Award winning documentary Jump Rhythm Jazz Project: Getting There, produced by HMS Media for public television. Leo most recently performed in Clara's Dream: A Jazz Nutcracker at the Music Hall in Portsmouth, NH. Leo grew up dancing at North Andover School of Dance. He has been on faculty at the Boston Conservatory where he taught jazz and directed the Hoofers, the student taught tap company. He also teaches Master classes throughout the North East. Leo resides in Tewksbury with his wife, Meghan and their dog Teddy. He loves being home at North Andover School of Dance. Things really have come full circle. There is no place like home! Sara began her dance training at the age of three. An alumna of North Andover School of Dance, Sara has trained in ballet, jazz, tap, lyrical, contemporary, pointe, and cheer and pom styles. As a member of the competitive dance team, Sara won several awards both regionally and nationally as a soloist and alongside her teammates. Sara is a graduate of Assumption College, where she received degrees in history and English writing. While at Assumption, Sara was a member of the Ladyhounds Dance Team, of which she served as captain her junior and senior years. With the dance team, Sara performed at football games and men’s and women’s basketball games, as well as at campus and community events. During her four years with the team, Sara received numerous All American nominations and has joined the team as it has earned national rankings at the National Dance Alliance Collegiate Nationals in Daytona Beach, Florida. Sara currently works as a healthcare beat reporter in Danvers, Massachusetts. In addition to her full-time work and position at NASD, she is a company dancer for DanceWorks Boston, where she performs in jazz, tap, lyrical, and contemporary styles in DanceWorks performances. Sara is excited to return to share her joy of dance! Stephanie is a lifelong member of North Andover School of Dance. She began taking classes at the age of six ranging from Ballet, Tap, Jazz, Pointe and Lyrical. Stephanie was an Assistant Dance Teacher starting in the 8th grade all the way through her senior year at North Andover School of Dance. She began competing at 14 and also had the opportunity to dance on the Royal Caribbean Cruise Ship with her classmates. Stephanie attended the Dance Teachers Club of Boston’s Dance Education Training Course and graduated in 2010. Stephanie is attending Northern Essex as an Early childhood Education Major. Once receiving her Associates Degree in Early Childhood, stephanie hopes to move on and receive her Bachelors in Education as well. Stephanie is thrilled to be teaching Preschool,Kingergarten/1st Grade, Grade School and again this year and sharing her joy of dance at North Andover School of Dance. Stephanie is also the manager of our office. Bry arrived to her first dance class when she was three years old and instantly found her independence! She grew up in the dance world experiencing art from multiple studios, teachers, choreographers, professional performers, training programs, competitions, workshops, conventions, annual shows and fellow dancers who share in her passion. She pursues her dance training and consistently works on her performance, choreography and teaching skills in and outside the classroom by attending master classes and conventions on a regular basis. Continuing her education is the only way to instruct the students in the most informative, safe and open minded manner possible. She only hopes to bring the joy and passion she has discovered in the performing arts to her students and all she meets. She has a bachelor’s degree in Classics and Dance from Roger Williams University in Bristol, RI. As she was away at school, she also took part in the RWU Theatre Department, selected performer with Kairos Dance Theatre, RWU Dance Team member and Dance Club as both a member and choreographer. She is a graduate of DETC (Dance Education Training Course) as of the year 2010 by Dance Teachers’ Club of Boston & The American Society through written and performance exams, and proceeded to be inducted as a member of DTCB in October of 2011. As a dancer, educator and choreographer she always encourages students to take full advantage of the opportunities afforded to them, no matter how challenging they may seem. Those unique experiences will only make you a better dancer and overall individual. Bry’s passion continues to grow as an instructor and choreographer by the day! Each student she has had the privilege of working with has given her new perspectives and methods of teaching that have changed her for the better. She hopes to provide students with values in dedication and appreciation for the performing arts. Everyone should realize and accept their unique abilities and characteristics, for those are what make us shine in this world! She would not be who she is today without dance and all of those who have influenced her throughout her continued journey in life as a performer. 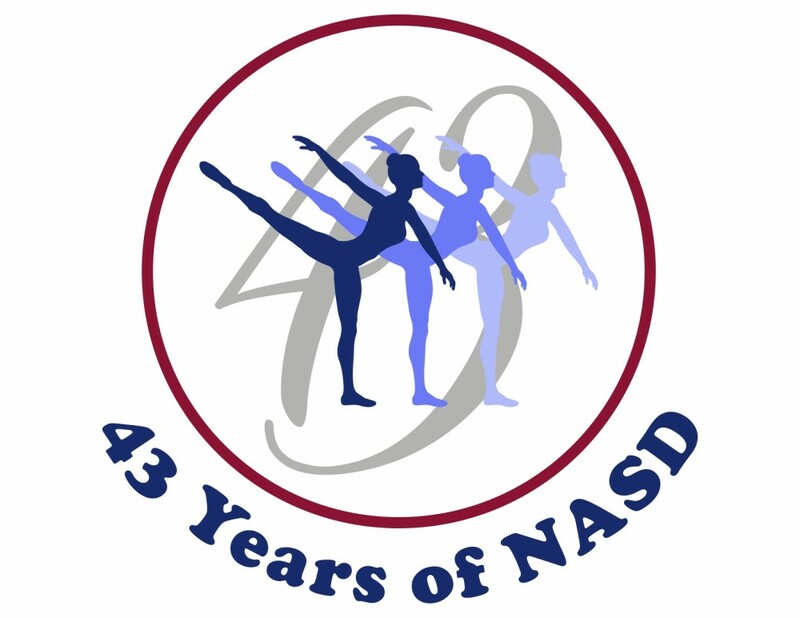 "I am not certain that I say it enough, but thanks to all of the NASD staff for all that you do. My daughters have had such a wonderful experience at NASD. They enjoy their time at dance, and all of the friends they have made along the way. I thank you for teaching them the values of commitment and teamwork, and doing it all in a way that is fun for them. Once again this year, I watched the recital with tears in my eyes, each year getting better! I am certain that the time and effort that you all put in is not trivial, and it definitely shows. The dances and costumes are beautiful (and age appropriate :-) ), which I love! Lastly, thank you for always being so flexible with us. As a working mother of three, I do my best to make it all work, and to give my children opportunities that I did not have. I appreciate that you are always so willing to help us!"